This week went by so fast I'm not even sure how I remembered to make my daughter's lunch each day, let alone take pictures of it. The worst part is I'm not even sure what I accomplished this week. She had mini flower sandwiches, red peppers, carrots, wild rice with mixed veggies, a brownie, and a Capri Sun. 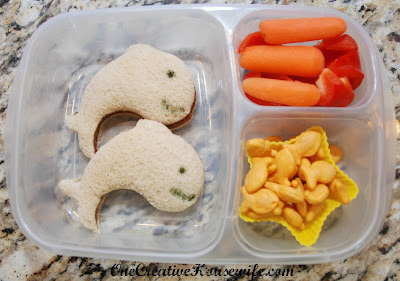 I packed her dolphin shaped sandwiches , red peppers, carrots, goldfish crackers, and a Capri Sun. 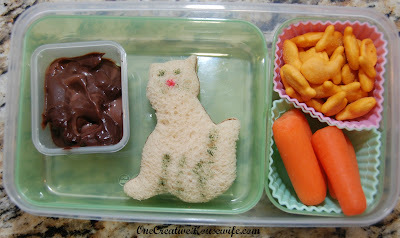 She had a cat shaped sandwich, pudding, carrots, goldfish crackers, and a Sistema Twist N' Sip* of water. 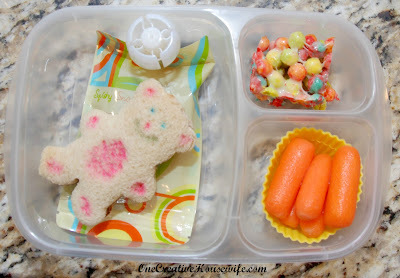 I packed her a teddy bear shaped sandwich, carrots, squeezable applesauce, Trix treats, and a Capri Sun. She had a flower shaped sandwich, carrots, goldfish crackers, Hello Kitty Fruit Snacks, and a Sistema Twist N' Sip* of water. The products used in this post are listed below. 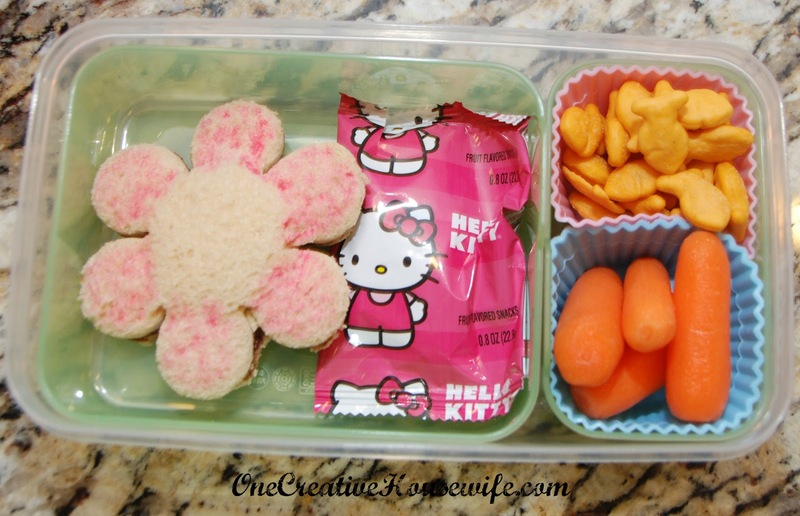 The pink container is from Pottery Barn Kids. 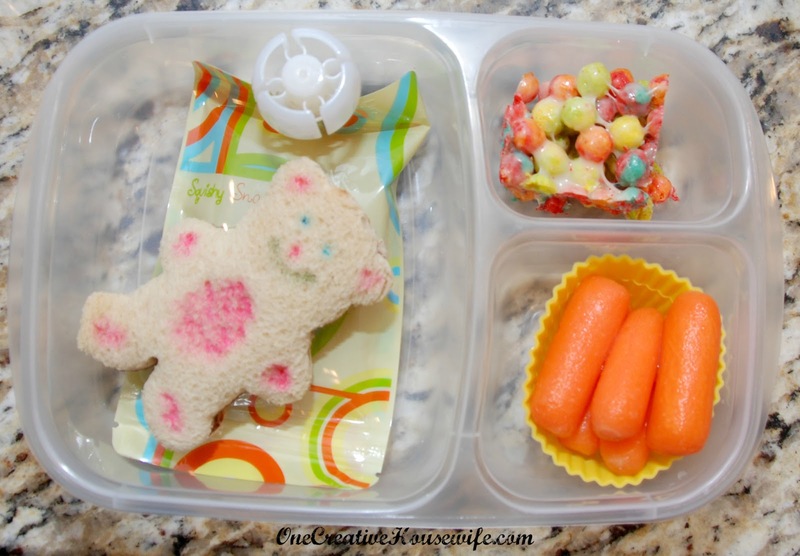 The container with green inserts is the Rubbermaid LunchBlox entree with trays*. The clear container with 3 sections is an EasyLunchBox*. 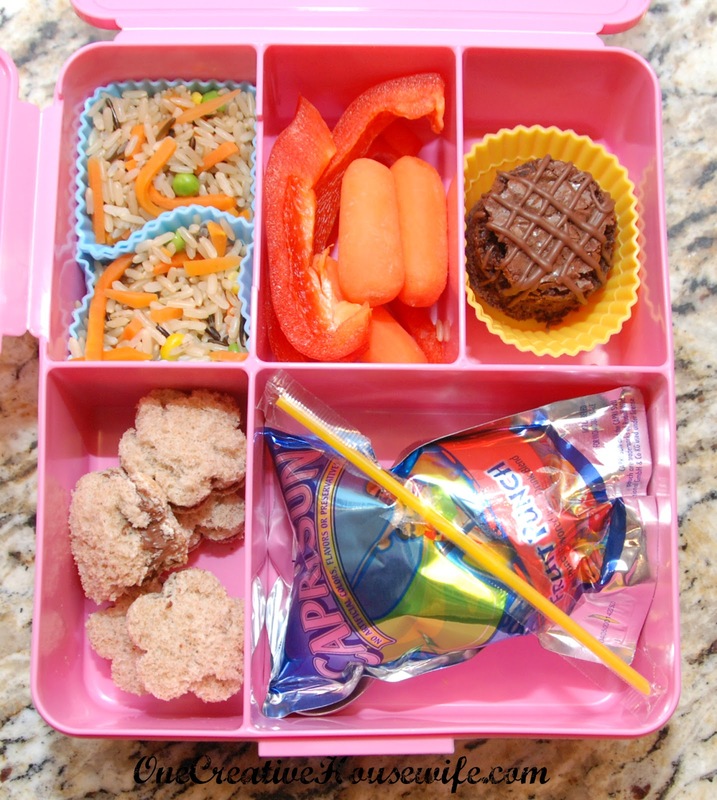 The tiny clear container is an EasyLunchboxes Mini-Dippers*. The silicone cups are Wilton pastel cupcake liners*. The pastel star cups are from ebay. The squishy packs with the applesauce in them are Squishy Snack Paks. Check out my review of Squishy Snack Paks here! I'll Be Linking Up At Some Of These Parties! Feel free to link to material from this site but please do not borrow images or content without noting their origins. Thanks!